The look of well-loved furniture You Grandmothers prized dining room set with the marks left by years of children’s feet kicking the legs, the broom brushing by and her patient hands wiping up spills. 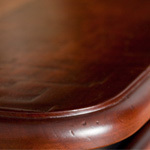 We can’t bring back those days but we can give your furniture that same character and loved look of years use. By strategically placing the rubbing and scuff marks, our experienced finishers can give you the perfect blend of distressing marks and wear. Add an antiqued charm to any painted heirloom. A new piece of furniture that speaks the language of the past! we hand rub the glazing into the cracks and crevices, edges and corners to bring out texture and develop contrast. Glazing is available for all of our furniture. 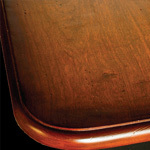 We use a very strong finish to make the life of your furniture as long as possible so you can pass on these pieces as heirlooms to your children and grandchildren. 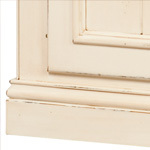 We use a post-catalyzed high solid conversion varnish top coat finish to make the life of your furniture as long as possible so you can pass on these pieces as heirlooms to your children and grandchildren. Add a touch of art to the stain. 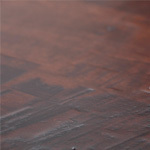 This carefully hand applied patina is a step-by-step hand applied process, detailing with expertise and an artful eye. It adds a distinction to each piece that is one of a kind. Bringing back the REAL handmade look The smooth yet textured feel of hand planing done the way it was done for all of our history past is irresistible, you just have to run your hand over it! We have learned the ancient art and can bring you the best in hand planing. 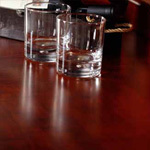 Hand planing is available on all of our furniture and can be combined with any other finish.